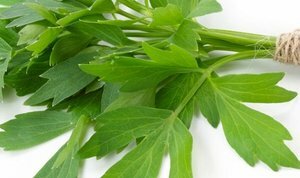 Lovage is an erect, herbaceous, perennial plant. The leaves can be used in salads, or to make soup or season broths, and the roots can be eaten as a vegetable or grated for use in salads. Its flavor and smell is somewhat similar to celery.